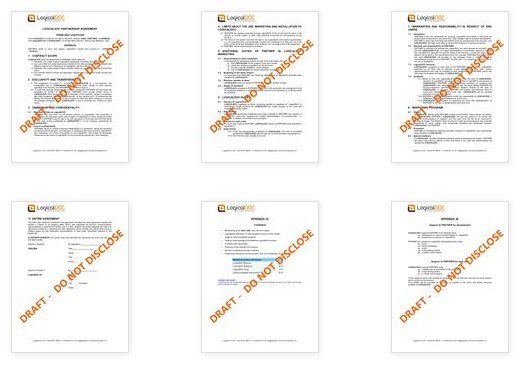 The LogicalDOC native platform has already done a lot with PDF files. “Already” and “native” translate to “you don’t have to do anything, the features are here,” which is always a good way to work. It allows you to focus on the other features of your application. For editing PDF files, here is a list (not an exhaustive on) of the available functions: extraction of complete text/indexing, conversion to pdf, preview, template rendering, and digital signature. 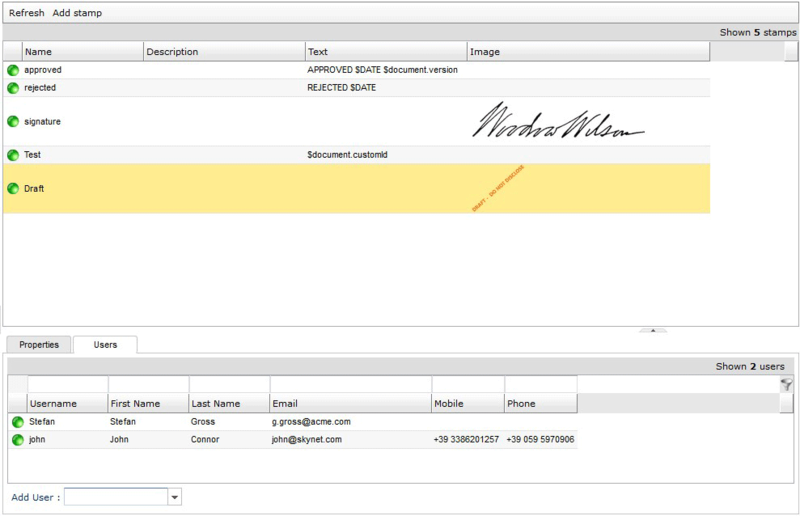 To create our example watermark using LogicalDOC, we first have to add the definition of a stamp. This will make it available in the list of labels when the user wishes to apply a watermark or for writing an automation task. 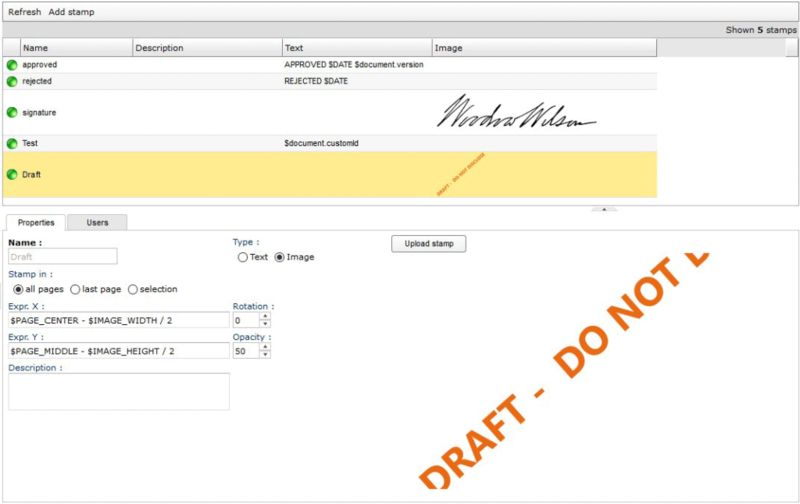 An easy way to define your label is going to Administration> Document-metadata> Stamps. Then click Add stamp. Give it a name like “Draft” and for Type choose the image, then upload the image and save. Now open the Users tab and assign this seal to users who need to use it, and of course, don’t forget to assign it to yourself, too. 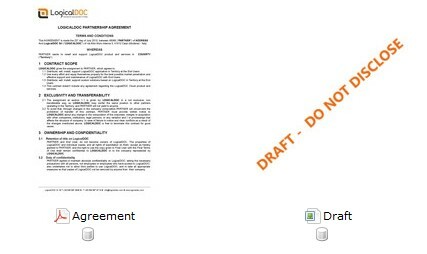 Next, open the browser, select the document you want to stamp and click on the stamp icon. In this example, images and values are not editable, and the user manually applied the stamp. In your application, you probably have something more dynamic, and perhaps are applying the label as a workflow action, or saving it to another document. The process will be the same. The point is that it’s so easy. PDF files are a fun, after all, right?